Artificial intelligence is completely reshaping the $445 billion beauty industry by creating AI-powered shopping experiences despite the widespread brick-and-mortar retail crisis. New York-based Headliner is just one of many companies creating custom AI chatbots for beauty brands. To understand just how dramatic this high-tech shift really is, let’s recall how people got beauty products just 15 years ago. Imagine a gaggle of young women gathered around a stack of magazines. They scour the pages for recommendations and ask each other if they’ve tried these products. At best, the printed tips cater to one or two personal traits like oily skin or sensitive skin, curly hair or colored hair. Happen to have both? How about a health condition like eczema? Tough luck. Next these women drive to a mall to find these products, hopefully with the right shades in stock, and ask a stylist how to use them. Women who couldn’t afford high-end retailers with in-house stylists often relied on word-of-mouth or trial-and-error, which can hurt their careers. Fortune reported “well-groomed” women of “average” appearance and grooming statistically earn $6,000 more a year than their less coiffed coworkers. Klatt said her company’s Facebook messenger chatbot had over 50,000 interactions during the past two months, where shoppers can actually buy the products directly through chat. The chatbot can consider complex factors, including budget and local climates, then learn the shoppers personal tastes just like a long-term relationship with a hair stylist. “There are thousands of combinations,” Klatt said. The AI chatbots can also learn from aggregate data. The more shoppers it chats with, the better it gets at making recommendations. Brands can use that data for product development and customized online experiences on their own websites. For example, earlier this week the tech-savvy marketing company Dynamic Yield launched an AI collaboration with Sephora Southeast Asia, to create customized shopping experiences for shoppers from Australia to Indonesia directly on Sephora’s websites, newsletters and mobile platforms. Mukund Ramachandran, Dynamic Yield’s VP of global marketing, told IBT it’s not just about recommendations. “You can’t have a one-size-fits all website and hope to compete,” he said. AI can customize everything from the sale offers to the type of language and images the site will display. For an industry dominated by eurocentric beauty standards, AI overturns the monolithic advertising scientifically proven to lower women's self esteem. It offers diverse women of color personalized options, instead of say, a dark-skinned Asian woman hunting down the one featured model whose look might work for indigenous Malaysian skin instead of the paler complexion of a Chinese woman in Hong Kong. Brands live Covergirl and Shiseido are even launching AI-powered mobile apps to help shoppers find products that match their complexions perfectly. Dynamic Yield, which counts Chinese AI innovation driver Baidu among its investors, has also worked with companies like Urban Outfitters and Lamoda, just to name a few. Ramachandran said these AI solutions yield six times the uplift versus recommendations alone, raking in an average of 180 percent more revenue per shopper. 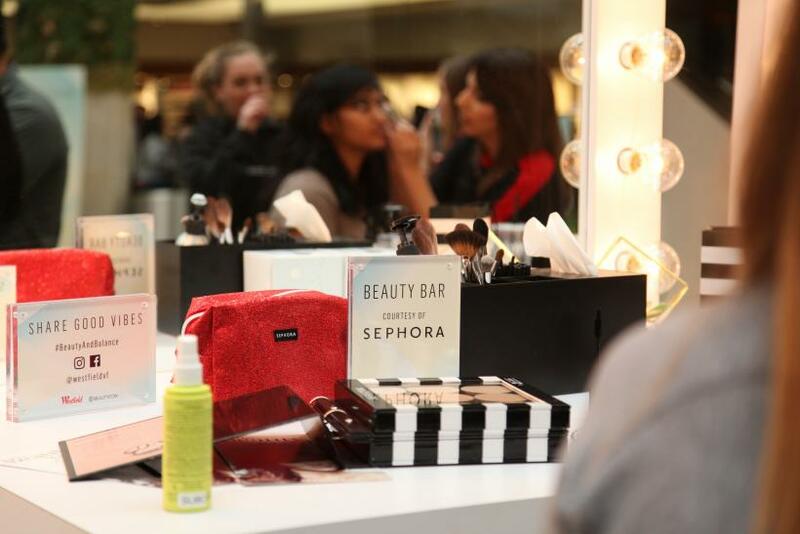 In the United States, Sephora’s Virtual Artist app combines AI with augmented reality to offer digital makeovers. This AI e-commerce revolution isn’t just about tech-savvy marketing or social media chatbots. It’s about fundamentally shifting the business model. Beauty brands must now adapt to unique women instead of fueling a system that encourages women to fit industry norms. The beauty industry’s social implications are still complex, to be sure. However, accessible, user-driven shopping could be an innovative first step. AI is the key to weaving all these high-tech solutions into one cohesive shopping experience. Could AI Offer High-Tech Therapy And Mental Health Services?